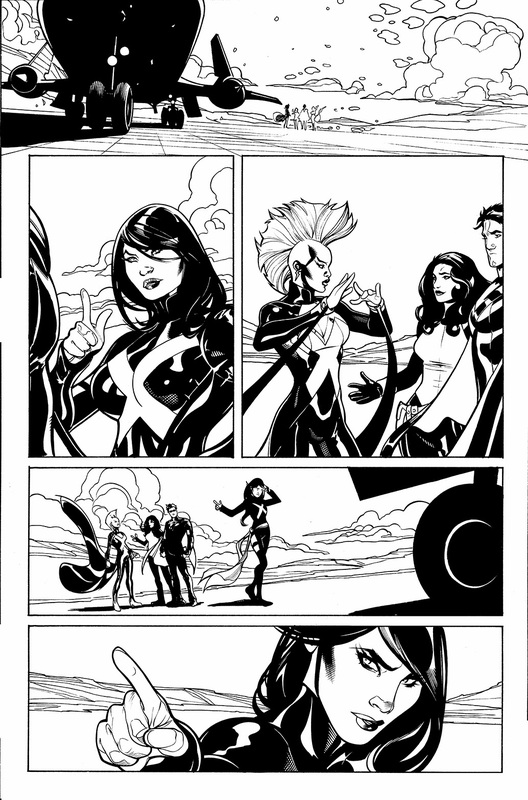 The original art from X-Men #7, #8 and #9 is now available. Here's the price list for the artwork from my recent issues of X-Men - the originals are all 11 x 17" on 2 ply bristol board. 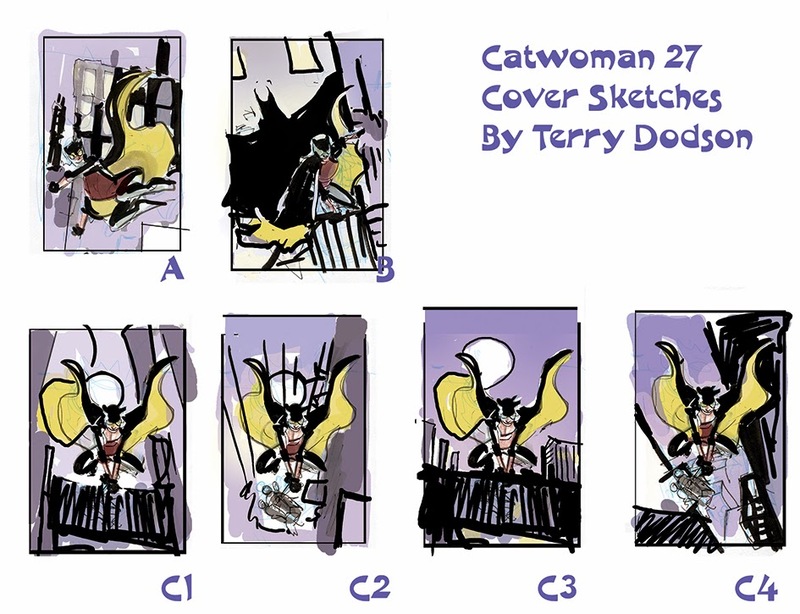 My cover sketches I sent to Editor Rachel Gluckstern at DC Comics for approval. 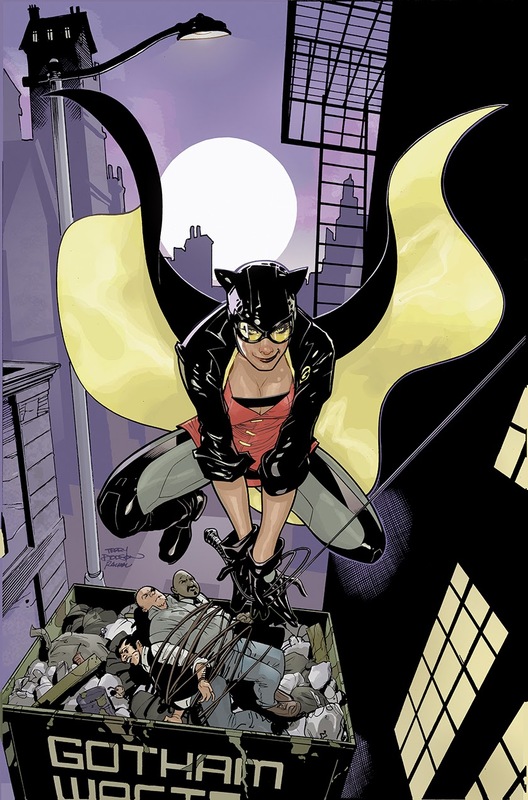 These covers feature the Gothtopia storyline and Catwoman is the Catbird character - a Robin type of sidekick to Batman. 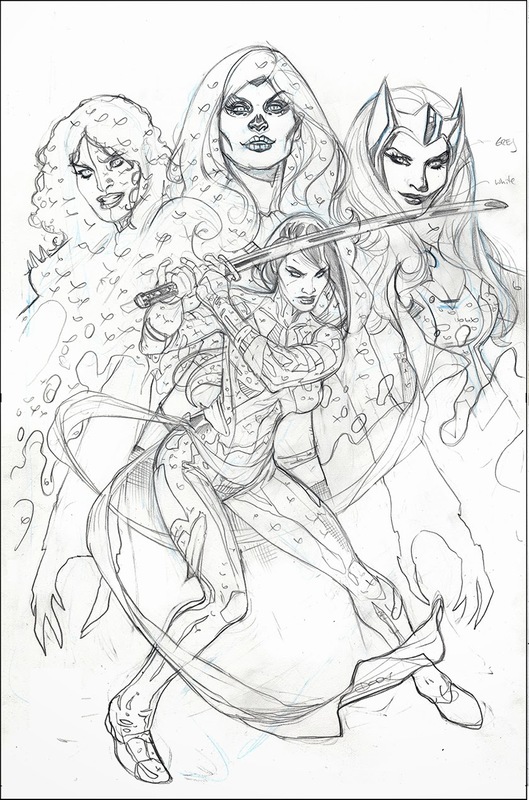 My pencils, drawn in Light Blue and HB lead on 12 x 18 Bristol Board. 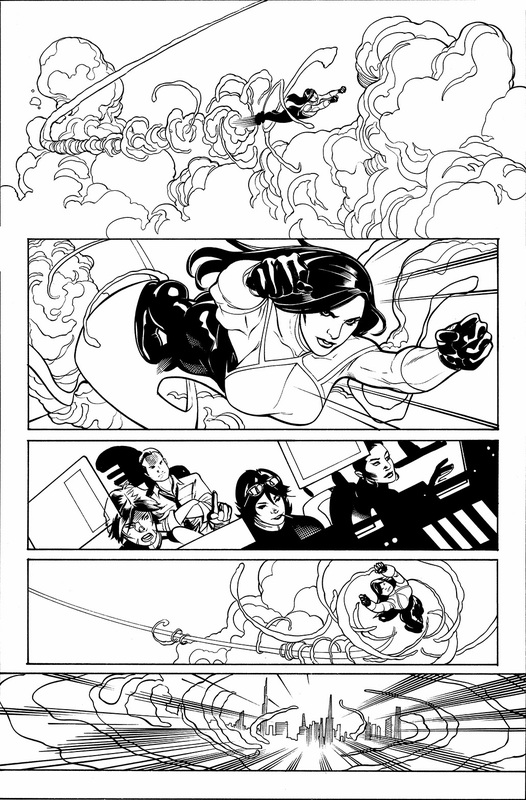 Rachel Dodson's inks - using a Windsor Newton Series 7 Kolinsky Sable #2 Brush and Higgins Black Magic ink, plus a little tech pen and croquille for the straight lines. Rachel started with the foremost element and then worked background. After Rachel finished up, I lettered in the logo on the Garbage bin and added details to the background buildings. 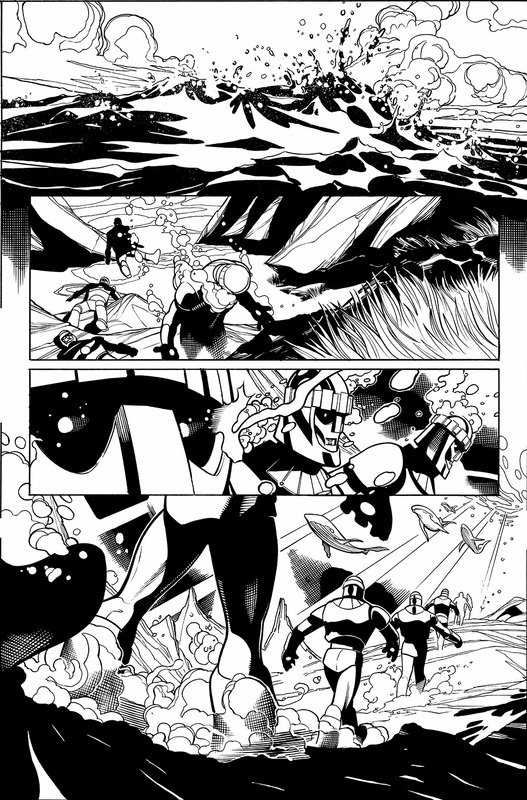 The art is then scanned and cleaned in Photoshop. I use Photoshop CS3 with a Wacom Intuos Graphics Tablet to color the art. I stuck really close to my approved sketch. 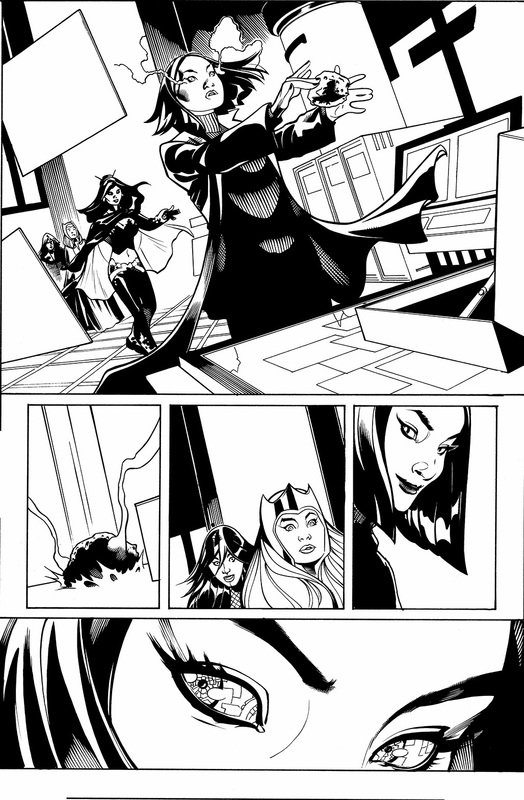 Out in stores today - X-MEN #9 - from MARVEL COMICS - written by Brian Wood with art by me, Rachel Dodson, Jason Keith. 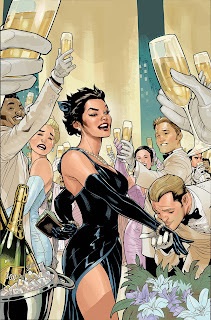 This is my final issue of interiors until late summer - you can see me monthly on the covers of X-Men, plus those of Catwoman and a number of others here and there. 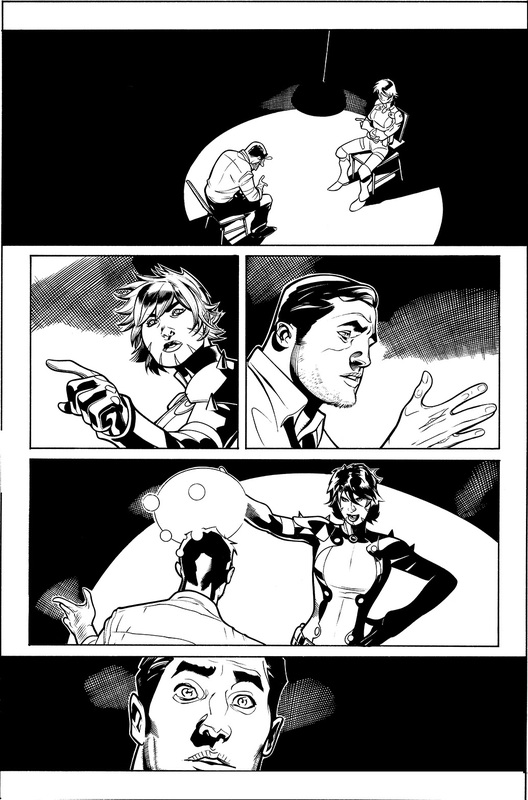 I'm working on a creator owned book that will be launching later this year. 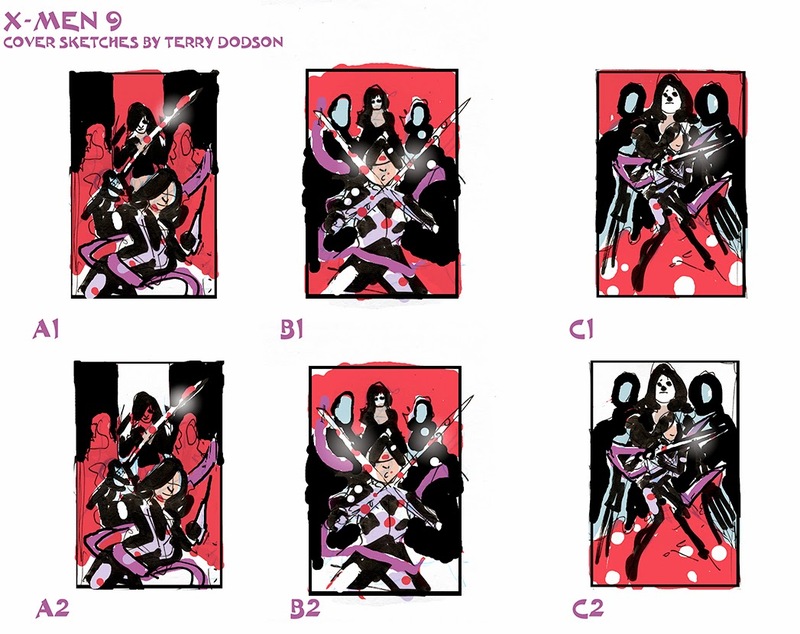 Here's a look behind how the cover of X-MEN #9 was created - out in stores this week from MARVEL COMICS - written by Brian Wood with art by me, Rachel Dodson, Jason Keith . 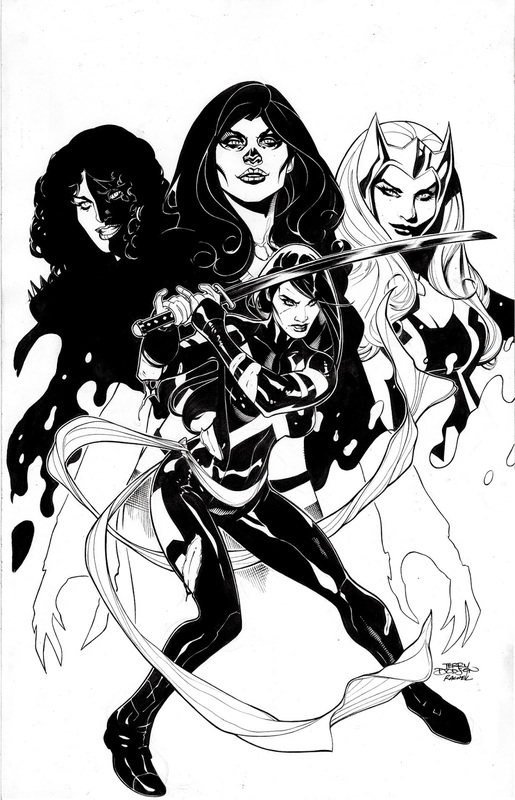 The first step is to send in cover sketches to X-MEN Editor Jeanine Schaeffer. 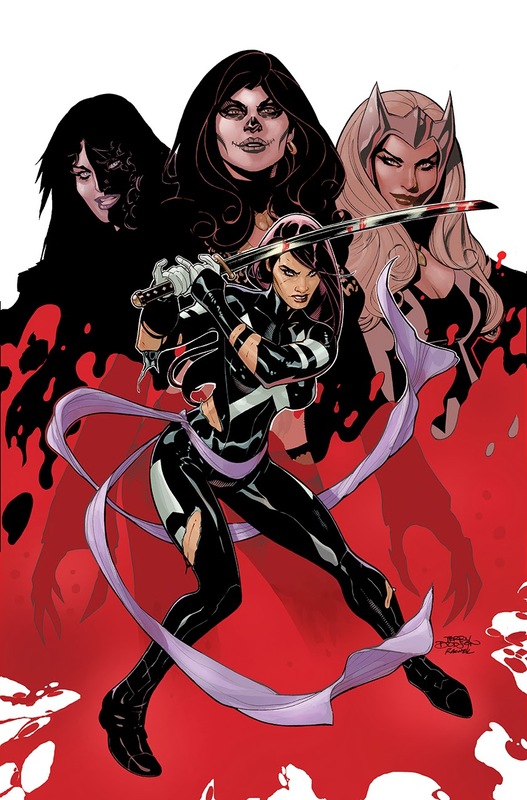 Here we have X-Men's Psylocke versus THE SISTERHOOD. Rachel Dodson's inks with a Windsor Newton Series 7 Kolinsky Sable #2 Brush and Higgins Black Magic ink, plus a little tech pen and croquille for the straight lines. I use Photoshop CS3 with a Wacom Intuos Graphics Tablet to color. 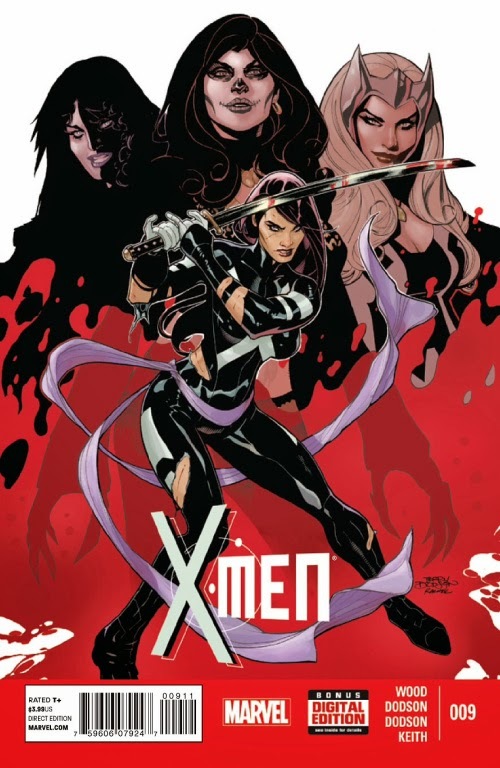 Coming out this week is X-MEN #9 - written by Brian Wood, inked by Rachel Dodson and colored by Jason Keith - from Marvel Comics. This is the last interiors you will be seeing from me until late summer 2014. I'm doing the covers regularly for this book and Catwoman plus some others. 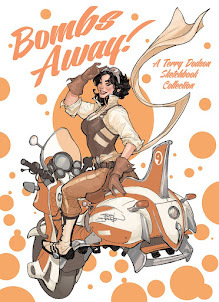 I will be posting a step by step from this issue and an original art price list soon. 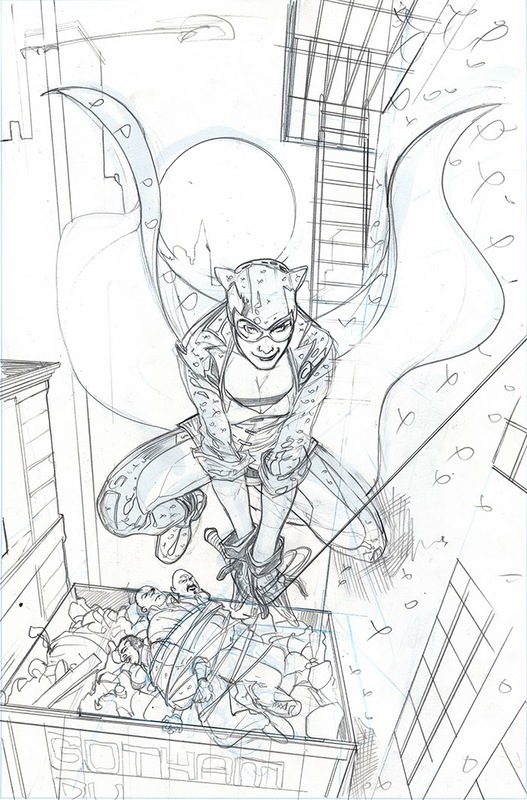 This is the in progress cover art for CATWOMAN 29. It is my first stab at the coloring, just a quick pass in order to get it solicited in advance for DC COMICS. 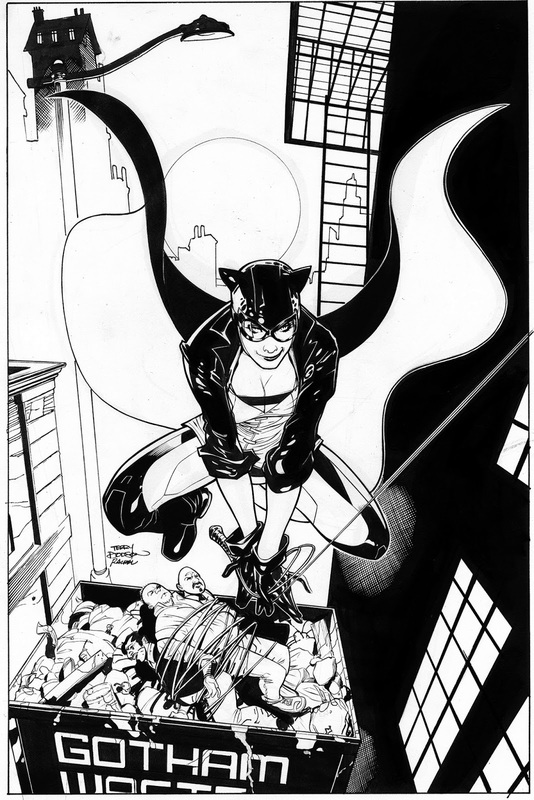 Drawn on 12 x 18 Bristol Board with Pencil, and inked with Brush by Rachel Dodson. 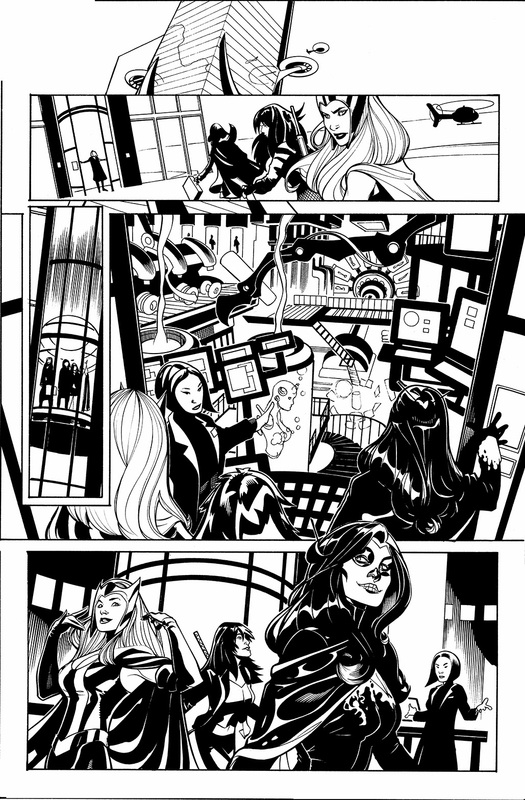 A look behind the making of Marvel Comics X-Men #7 Page 9 (out in stores now). 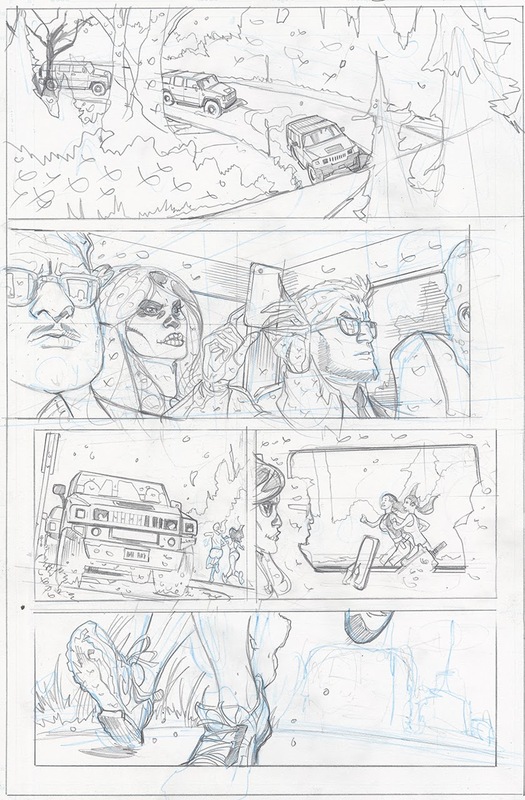 This page was drawn on 12 x 17 Marvel stock bristol board, using a Col Erase Light Blue and Staedtler HB Lead pencil. 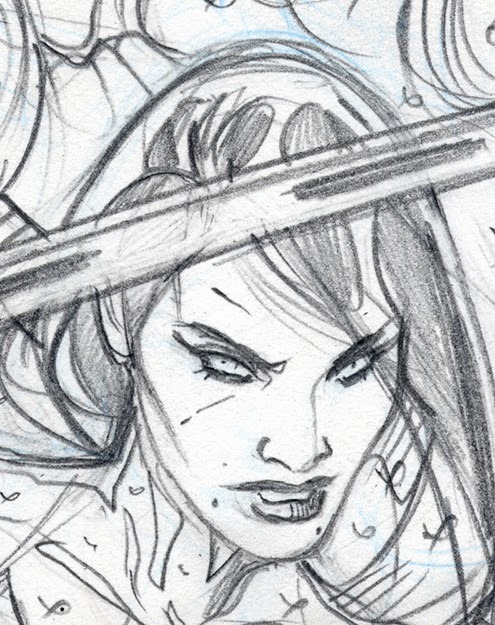 I rough in all pencils quickly and bear in mind perspective, etc as I everything will be off if it's not correct at the beginning. 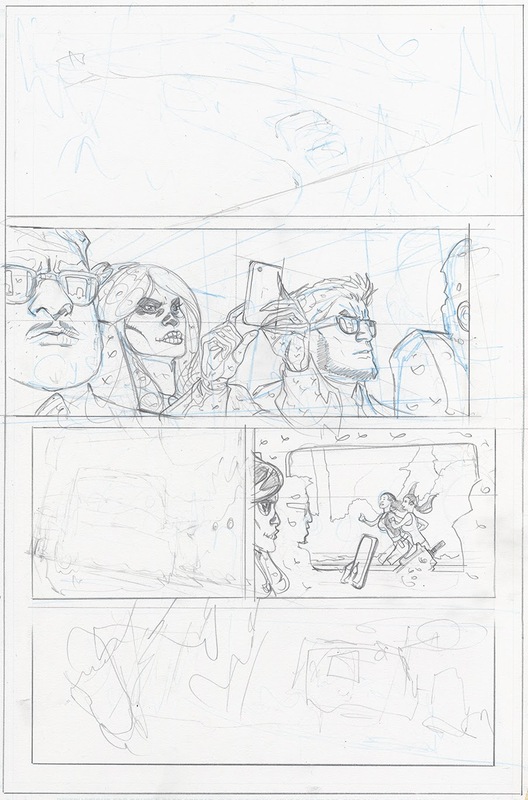 Knowing the perspective actually makes drawing the panels a lot easier to draw to boot! 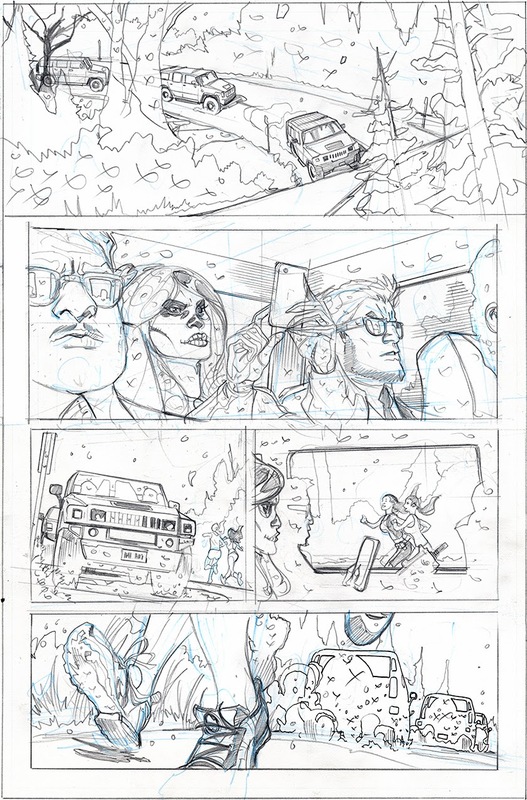 A lot of times I start with the "easiest" to draw elements first, to give myself a mental lift of having a page "almost" completed at the beginning :-). 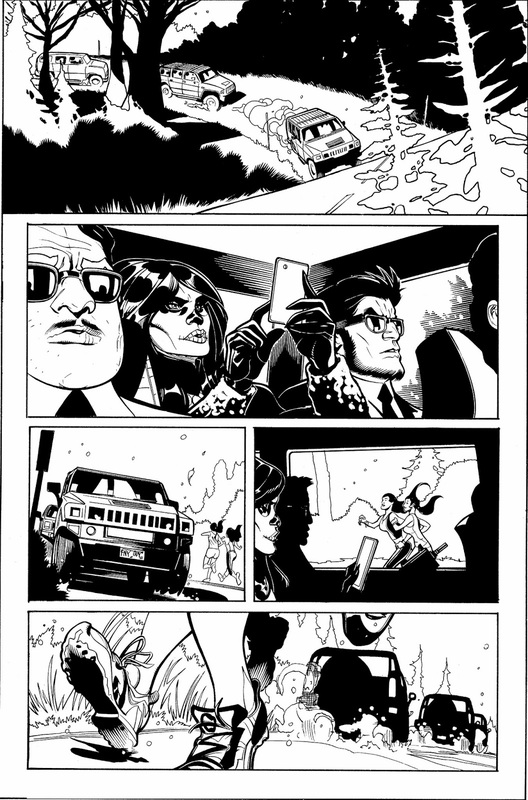 There was very little character storytelling, so I got that done as the rest of the page was very mechanical to do. 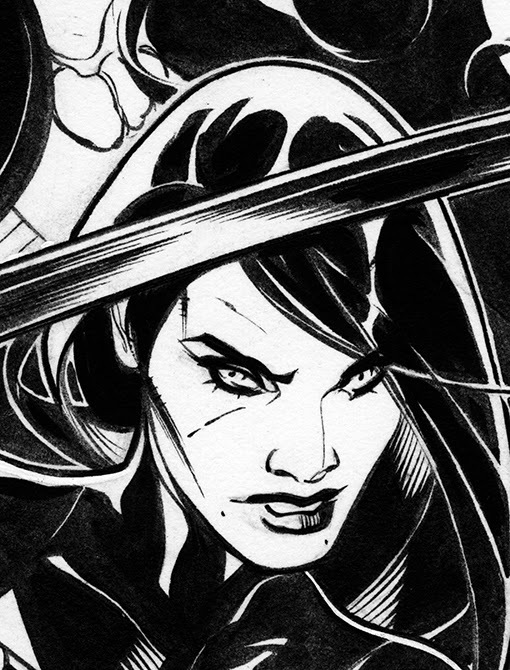 Rachel inking directly on my pencils, using a Windsor Newton Series 7 #2 Sable Brush, Higgins Black Magic Ink plus a croquille and tech pen for some details. 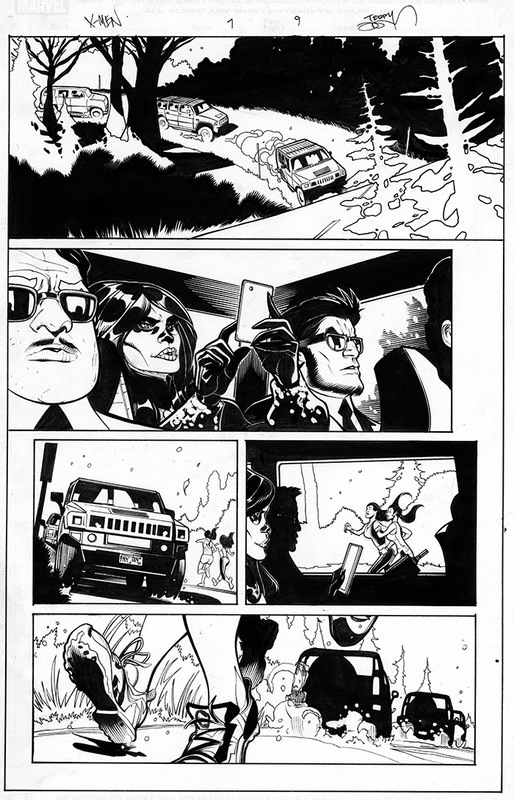 The artwork is then scanned and cleaned in Photoshop - I adjust the panels so they all fit and have proper borders. 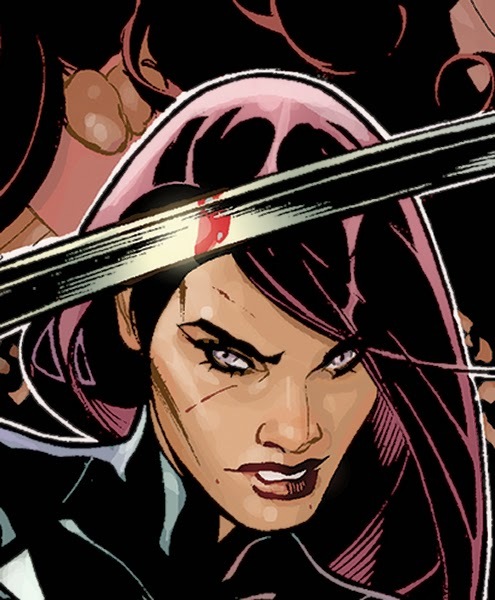 Then I put it on the Marvel Server for the colorist.